This project will develop a Management Strategy Evaluation (MSE) framework using a stakeholder driven approach to qualitatively integrate our understanding of the key drivers of change in the GBR inshore ecosystem and human uses, with an emphasis on biodiversity and inshore multi-species fisheries management. Management Strategy Evaluation (MSE) is an approach to informing stakeholders of the likely consequences, costs and benefits of choosing particular management decisions (across all uses) on ecosystems such as the Great Barrier Reef. It uses an iterative procedure to assist stakeholders in formulating objectives and assessing trade-offs between social, economic and ecological outcomes. MSE serves as a filter to identify which policies and methods have the potential to meet stated objectives, and to answer critical questions, such as how fast we have to adapt, how much we need to understand and what do we need to learn. 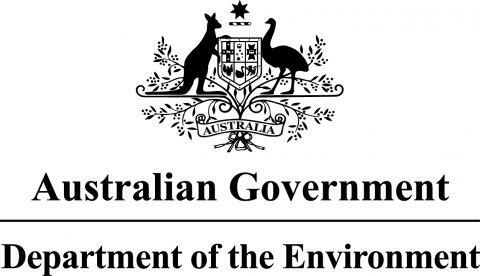 Identify social, ecological, economic and governance objectives of stakeholders for the inshore Great Barrier Reef region, including the fisheries therein. Develop a qualitative system model of the region to understand the interactions between the various components of the region. Identify alternative strategies for the management of the inshore region, using a stakeholder driven approach. Assess the impacts of the management strategies against each objective using a semi-quantitative approach. Develop management options (with end users) aimed at biodiversity outcomes, focusing on inshore multi-species fisheries management. An understanding of the relative importance of different objectives for each stakeholder group and for all stakeholders combined. The output is a objective hierarchical tree and relative weightings. The qualitative model of the system will allow stakeholder input to develop a joint understanding of the inshore system. Different management strategies and an assessment of their relative impacts compared to present management systems will provide clear direction as to the pros and cons (and trade-offs) of different management strategies for the inshore region. The process also joins stakeholders together in a discourse that is often lacking. It provides an objective difference between stakeholders and their requirements. Management options aimed at biodiversity outcomes, focusing on inshore multi-species fisheries management. Specific objectives and intended outputs of this Project are detailed in the NERP TE Hub Multi-Year Research Plan.